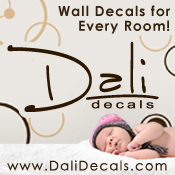 Recently I had the opportunity to try out a wall decal from Dali Decals. Wall decals are such an easy and inexpensive way to decorate and bring a little personality into a room. Dali Decals has a large selection of vinyl Decals, I had a hard time picking out which one I wanted to try. 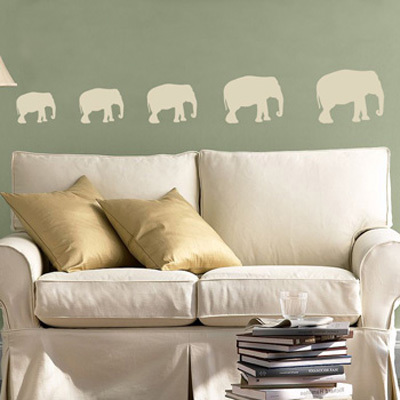 They also carry custom decals, wall murals and printed canvas. My favorites are the nursery and monogram decals. I also love the chalk board decals. The vinyl decals are really easy to install. They include instructions and a small tool to help you apply the decal.I love that Dali Decals are removable (just not reusable) so you won't ruin your walls when trying to remove them. Dali Decals provided me with a free decal for this review. Those chalkboard decals are SO cute! Very cool Dee Dee I have been wanting to do something special with a decal and of course I love the name of the company. I love the tic tac toe...so fun! They are a groupon today! $20 for $40 worth of them, as an online offer. Glad you were showing them off!